Rest in Peace Deputy Keltner. Thank you for your service & sacrifice. My thoughts and prayers are with your family, friends and the entire MCSO. Sorry for the loss of the LEO. We all lose so much when such is taken from us. May God give the family and fellow officers they worked with Peace and Strength to carry on. Rest in Peace Deputy Jake Keltner, Thank you for your Service. Keltner family and friends may God grant you all with a speedy healing. Deputy Keltner thank you for your Dedicated Service to your Community and to your Department. Most of all thank you for your Ultimate Sacrafice in the Line of Duty. Thinking you tonight as we are reminded of hazards our heroes in Northern Illinois face on the job every day. I'll never forget the day of your passing, the procession, the support, and sadness. You may be gone, but you'll always be remembered. Thank you for your service and may justice be served. It is a fact that I am sure most of those reading this are aware, but it bears reminding, that without people like Deputy Keltner our republic would perish from this earth. The ability of us to live in peace and with relatively little fear of violence as compared to many places on this earth is a testament to people like Deputy Keltner. Thank you for your service, may your society faithfully remember you and care for your family and friends as you have faithfully cared for all of us. Rest in peace, and peace be unto your family and friends in this difficult time. Deputy Keltner, you are a hero. That is no consolation for those you leave behind but it is truth. This animal had no intention of going peacefully, though I know all would have preferred it to the loss of even his life. God Bless you, Brother and may your eternal rest be ever peaceful. RIP Deputy Keltner. We will be praying for you and your family. Thank you for your service. Prayers for your Family and your Department. 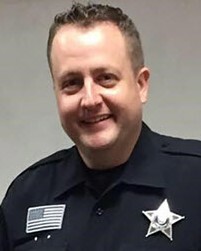 Thank you Deputy Keltner for your dedication and for paying the ultimate sacrifice for the fine folks in the great state of Illinois. You are a true American HERO !!!! My thoughts and prayers are for your family, friends and co-workers. May you forever, rest in peace, my brother. Very sorry to hear the news... Rest in peace. My thoughts are extended to family, friends and fellow officers. I would just like to say thank you for your service and sacrifice although that doesn't seem to be enough. You will not be forgotten. Deepest sympathy to your friends, family and coworkers. RIP. Thank you for your service and your sacrifice, Deputy Keltner. Rest in Peace now, Brother. We've got the watch. Rest in heaven brother in blue! Thank you for your service! Godspeed Brother. You will be remembered! RIP Brother. We got the watch. My condolences to the family and friends of Deputy Sheriff Jacob Keltner. Losing a loved one is always difficult. Please take comfort in Jesus words found at John 5:28,29 where he said that there would be a resurrection. Just think of the time when you will see your loved ones again, in paradise conditions, here on earth.